Reluctance to cook often comes down to an unappealing and difficult-to-clean cooktop. 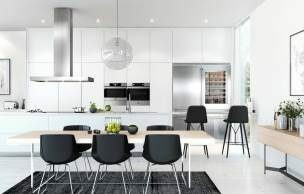 ASKO product developers take the user experience seriously, resulting in a new wave of appliances that are designed to maximise efficiency while always looking their best. ASKO gas cooktop cleaning is a breeze, thanks to highest quality materials, a hard-wearing finish, and single-piece components that are conveniently removed, cleaned and replaced. How can I clean my cooktop? A clean and shiny cooktop is undoubtedly attractive, although people are often reluctant to take components apart for a deeper clean. It’s understandable, as ineffective cooktop brands manufacture appliances that look impressive in the showroom but soon deteriorate into grease and oil traps that are difficult to access for cleaning. The problem is exacerbated for people who try hard to improve cooktop performance only to find their cleaning effort resulted in a cooktop that functions worse than ever before. ASKO cooktop users don’t suffer from these problems. Our appliances are versatile, with every component designed with multifunctional performance in mind, and cooktop cleaning is no exception. You will notice the A+ burners on your ASKO cooktop are solid and seamless, with burners and pan supports easily removed for a thorough clean whenever required. 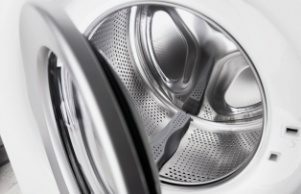 Be sure to use a mild detergent and don’t clean burner parts in a dishwasher, as heavy-duty dishwasher detergent can be corrosive on metal. How often should I clean my cooktop? An ASKO cooktop can be cleaned as often as you like. Regular maintenance is always the best option, as food and oil residues won’t have a chance to create persistent stains. The single-piece burners, removable knobs and smooth cast iron trivets are created using highest-quality materials, while the burner caps are coated with Flex-enamel and burner bases finished with Keradur enamel. All components are durable, heat and scratch resistant and easy to clean. What products should I use to clean my cooktop? 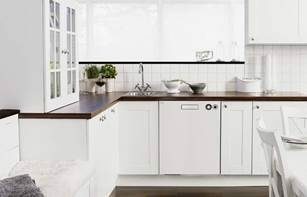 ASKO appliances are the environmentally friendly kitchen alternative. A mild detergent, hot water and soft cloth are usually all that’s required to have your cooktop looking as good as new at all times. For stubborn stains on burner covers and other components, soak them in a solution of warm water and vinegar for a few hours and simply wipe clean. Make sure cooktop components are fully dry prior to reassembly as water in burners will affect cooktop performance. Your stainless steel ASKO cooktop drip tray comes with an ‘easy clean’ coating. All you need is mild detergent and a soft cloth. Tough stains can be removed with the aid of a scouring sponge, but avoid using aggressive cleaning and scouring products that can damage the drip tray coating. For a superior finish once your cooktop and components are clean and dry, take a paper towel and appropriate cooktop polish for a showroom-style finish. What are the benefits of stainless-steel cooktops? 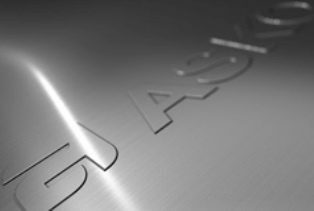 From a cooktop cleaning perspective, stainless-steel is as the name implies, stainless. In other words, your ASKO cooktop won’t rust or corrode like inferior brands. Stainless-steel is the manufacturing material of choice for premium kitchen appliances, and with ASKO you get Scandinavian styling, seamless manufacture and highest quality materials used throughout. 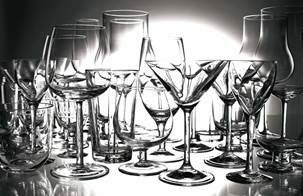 Stainless-steel is durable, long lasting, easy to clean and great to look at. What are the benefits of graphite black cooktops? As a popular alternative to stainless steel, graphite black cooktops are becoming more noticeable in contemporary Australian kitchens. Your ASKO cooktop can be coordinated with built-in and fully integrated ovens, microwaves, rangehoods, dishwashers and more for a complete kitchen makeover that can’t be beat. Graphite is an extremely hard material that is resistant to high temperatures associated with cooking. Your ASKO cooktop can even incorporate the famous Fusion Volcano wok burner for creating amazing Asian dishes and other delicacies. 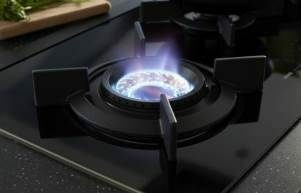 ASKO cooktop development is leading the way for Australians who want to increase their cooking repertoire without creating a mess, using precisely targeted gas flames, optimally positioned burners, adaptable user controls and easy clean features that everyone will appreciate.